Earlier today I saw an exchange between Scott Lowe and Chad Sakac on twitter regarding a post on learning about EMC storage. 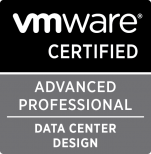 I teach as a contractor for VMware and storage is routinely identified by students a topic for more and more in-depth discussion. I follow both Scott Lowe‘s and Chad Sakac‘s blogs with interest as they both have provided me with insight and very useful information. In this case, I found the comments to be very helpful and in particular the comment from Chad Sakac of EMC to be a succinct and helpful quick start for learning more about EMC storage and VMware and will be referencing it in future classes.